Imagine coming face-to-face with the largest and most dangerous bear on the planet...and it's hungry! Join the Browns on their Norway expedition, the location for the popular Disney movie, Frozen! On this exciting Internet expedition the Browns will be voyaging above the Arctic Circle to search for the largest bear in the world -- the polar bear! Their voyage to the Norwegian Arctic will take them cruising through breath-taking Norweign fjords, snow and ice covered mountains, glacier-filled valleys and Arctic Ocean pack ice! As they explore Norway they will come face-to-face with some of the wild and wonderful animals that live in the island archipeligo and ice flows of Svalbard...the home of the polar bear! As we explore the habitat of the Ice Bear we will also be searching for other animals that are part of the Arctic environment, such as arctic foxes, whales, seals and sea birds. • Are polar bear populations shrinking? • Are polar bears running out of food? • Are polar bears threatened with extinction? • Is the Polar Ice Cap disappearing? Come face-to-face with the largest shark on the planet! 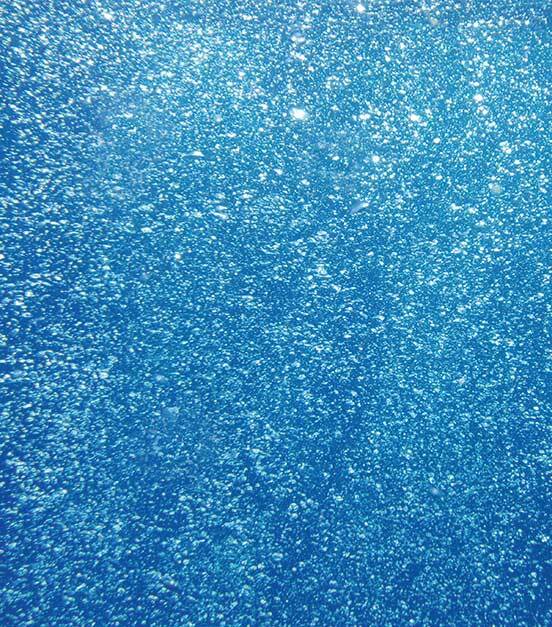 Dive with whale sharks, bull sharks, eagle rays, dolphins, and manatees! On breaks from their expedition base join the Browns as they also explore Belize jungle rivers, meet the people who live there and journey deep into the rainforest and meet the wild and wonderful rainforest animals. Join the Browns in tropical Pacific Ocean investigating clownfish and Nemo's other relatives, including sharks! The expedition starts in the North Pacific, on Hawaii and continues across the equator ending in the South Pacific, on Tahiti. Visit old volcanoes, tiny uninhabited islands, and remote coral atolls. Join the Browns in the U.S. and British Virgin Islands, exploring coral reefs, sunken shipwrecks, tropical islands, and old pirate hideouts! Dive with sharks and sea turtles! Learn about the environmental health of the these islands. From the dense jungles of Central America to the largest barrier reef in the Americas investigate the health of both the rainforests and coral reefs. Visit Mayan temple sites, and crawl through dark underground caverns in search of the Mayan Underworld. Explore the mysterious Russian Kuril Islands. This expedition explores the land and sea above water. Search the seas for killer whales, sea otters, fur seals, and puffins, or explore on land, searching for bears and arctic foxes and climbing active volcanoes. Explore the Leeward Islands of the Caribbean Sea on land, underwater and from the air. Explore old forts, hike through rainforests, meet green monkeys, investigate sunken ships, dive among stingrays, moray eels, and sharks! Search for clues to the health of the coral reefs. 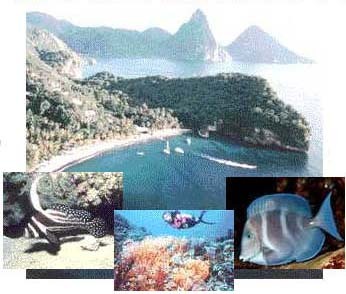 Explore the Windward Islands of the Caribbean Sea. Dive on coral reefs and sunken ships, kayak through mangrove swamps, mountain bike through rain forests, climb volcanoes and explore a city destroyed by a volcano. Study endangered Florida manatees. 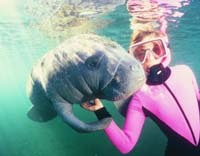 Swim with manatees, work with manatee researchers, join in a mantee rescue, kayak along the Crystal River looking for manatees and swim with real-live mermaids! © 2015, The Ocean Adventure All rights reserved.